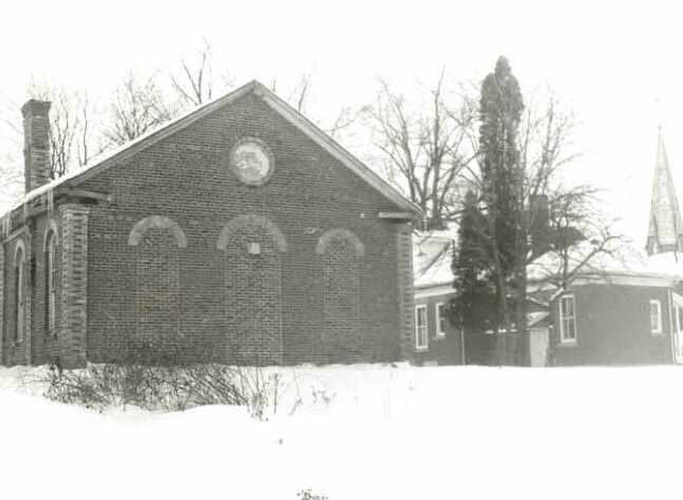 Check out the heritage home renovations project gallery: Pre-Confederation Church Re-use. Contact our green architects & designers in Toronto, ON at The Architect Builders Collaborative Inc., for more details. 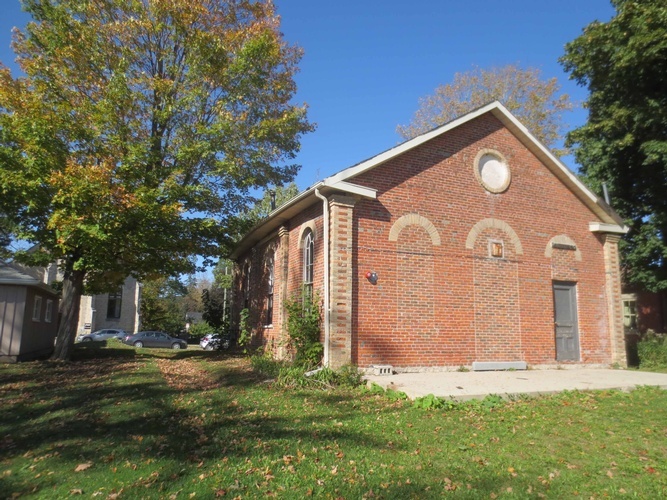 Restoration & adaptive re-use of the 1863 Baptist church in Elora. This pre-confederation brick church was designated as a heritage building for its design, contextual & historic significance. It is an early example of Regency Gothic church architecture with diachromatic soft local brick and beautiful proportions. The building will be carefully restored to it's original appearance including the 14' coved ceiling and cornices. The long lost orientation towards the original Elora Village Commons to the South (now Hoffer Park) will be reinstated. A small addition to the north (rear of the original church) will allow for an accessible at grade entrance and universally accessible washroom. The historic church and a re-built adjacent barn will be available for rent to local artisans and business. Eventually, a larger 2-storey addition to the north will allow the church to become part of a new single family residence for the Owners.